Before you sell your Collingwood home, you want to get your home looking perfect. You don’t need to do expensive and extensive renovations either. There are some small DIY projects that can be done that will add immense value to your home. You don't have to have a huge budget or even much skill to do any of these projects. that is dark and dingy. If your home lacks natural light, add some artificial lighting, but make it nice. Update your fixtures so they are actual showpieces and will have your buyers feeling wowed, not just by the abundance of light, but also by the fixtures themselves. Almost every buyer wants hardwood floors. While this isn’t the cheapest fix in a home, it can literally make or break your home sale. Someone who absolutely doesn’t want carpet and who doesn’t want to spend the time or money removing it will not even step foot in your home. Your investment in hardwood will pay off at listing time. 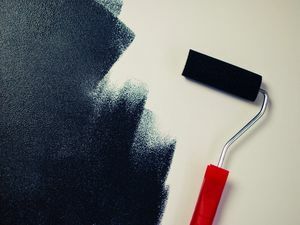 A paint job is the best way to impact how your home looks and it is so easy to do. Spend the day or the weekend choosing neutral buyer-friendly colours and go to town! Your home will look more modern, on trend and cleaner! Don’t forget what your backyard and front yard look like when deciding to make your home more appealing for buyers. Adding landscaping can be very simple and inexpensive. Painting your front door will also make a major difference to your curb appeal. You know that honey-do list you’ve been putting off? Well, the time is now to get on it before you sell your home. Any rips in screens, doors slightly off their hinges or holes in the wall will make a buyer cringe and wonder what else lurks beneath the drywall. 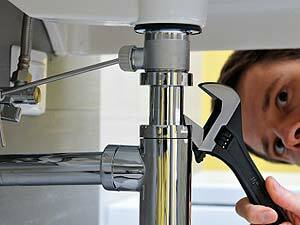 These super small fixes may make a giant difference in if a buyer loves your home or hates it. When you are selling your Collingwood home, give me a call and I’ll give you more tips for getting it ready for sale! 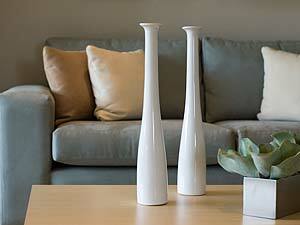 Wow your buyers with a hotel-chic style that is easy to obtain with just a few simple fixes.